Interesting things happen when big data shows up at brunch. 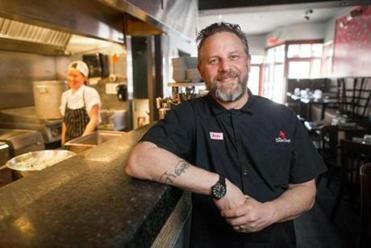 Around 3 p.m. every day, Andy Husbands gets an e-mail telling him who’s about to come into his South End restaurant, Tremont 647. The chef-owner can see who made a reservation, when they last visited (and how much they spent), the people they eat with most often, what they tend to order, and whether they’re VIPs or celebrating an anniversary. He can call up a prediction of which menu items will be popular that night and how many walk-ins will show up. Then he shares the data with his staff so they know what to expect, too. Food service is one of the country’s biggest industries, employing nearly 1 of every 10 workers. Last year, sales at restaurants and bars surpassed spending at grocery stores for the first time since at least 1992, according to the US Department of Commerce. But unlike other branches of hospitality that have been upended by technology, such as transportation (Uber) and hotels (Airbnb), dining out hasn’t changed all that much over the years. Just think about how often servers still take down your order with pen and paper. Things seem to be changing, though. 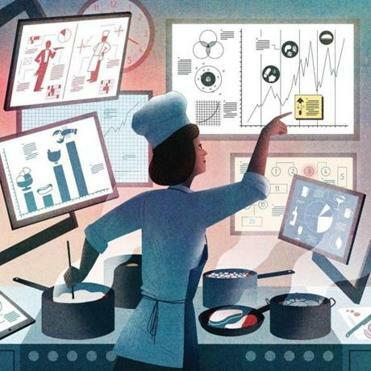 A handful of startups is creating new ways to use big data and analytics to update the experience of running a restaurant and eating in one. Upserve, founded in 2009 as Swipely (the name changed in March), has emerged as one of the biggest players, promising insights that can help restaurants do a better job of personalizing service to people’s tastes. The software also reports which menu items drive the most repeat business and generate positive reactions online. This month, Upserve acquired Breadcrumb, a point-of-sale system owned by Groupon, making it the largest cloud-based restaurant management platform in the industry. It’s now used in more than 6,000 restaurants across the country. Lived by Tom Brady’s ‘Nutrition Manual.’ Still not Tom Brady. The $200 book is all about maximizing wellness and minimizing, well, food. Davis grew up in the foodie haven of Providence, home to Johnson & Wales University (Emeril Lagasse’s alma mater). In 1996, at age 18, he became the youngest employee at Netscape Communications. He later cofounded Tellme, a Silicon Valley speech-recognition company that was acquired by Microsoft in 2007. Throughout his career, though, he kept restaurants in the back of his mind. At Tellme, the first demo they built let users order a pizza without talking to a real person. The idea behind Upserve is that the more you know about your customers, the better you’re able to serve them. Similarly, the more you know about your operations — from costs and inventory to labor and sales — the better equipped you are to improve them. Companies like Amazon and Netflix have known this for a long time; restaurants are only starting to realize the benefits of big data. The ultimate goal seems to be to know customers well enough to predict when they’ll come in next, where they’ll want to sit, and what they’ll want to order . For the most part, though, this scenario is still far away. “Talk to the typical restaurant owner, and they’re not doing deep analysis of all their metrics — they know their sales and top-level metrics, but they’re not going deep, because data is not their bread and butter. Food is,” says Ellie Mirman, the vice president of marketing at Toast, a point-of-sale platform that recently raised $30 million in venture funding. Tremont 647 chef-owner Andy Husbands. For the moment, restaurant owners seem more interested in upgrading outdated point-of-sale systems — the heart of a restaurant’s operations — than in venturing into analytics. Interest in traditional marketing technology has also been growing. For instance, the Massachusetts-based chain Not Your Average Joe’s uses a system called Fishbowl to help it manage a database of 500,000 customer e-mail addresses, which it can break down into segments. “Elite nesters,” in the chain’s parlance, are especially interested in wine specials, whereas “young families” are more motivated by discounts. “If you don’t drink, we’re not going to send you our Sangria Sunday promotion. But maybe we know you like oysters, and we want to tell you that we’re serving oysters this week,” says Steve Silverstein, Not Your Average Joe’s founder and CEO. “That’s not about selling you more, that’s about creating a special relationship with you.” Still, compared with Amazon-style prediction algorithms, this tech is a bit rudimentary. “The restaurant industry is just now catching up to where retail was 40 years ago,” Silverstein says. The fact that companies are tracking and using so much of our personal data makes a lot of people uncomfortable. And this poses a particular challenge for restaurants, especially since customers are interacting with other people, not devices. We might be fine with Amazon recommending things to buy based on our order history but less happy with a server asking if we’d like the salad again because we ordered it three times last month. 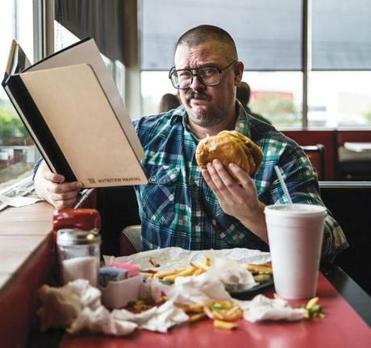 At Tremont 647, Andy Husbands is figuring out how to use data to inform his restaurant’s interactions with customers without seeming creepy. “Are we going to say we know you got the banana cream pie last time? Probably not,” he says. Instead, they try to understand what customers want so they can be prepared. “For example, we’re constantly changing our menu based on seasonality,” Husbands says. “Say we know someone loves the fried Brussels sprouts — they order it every time. But that was in the winter, and now we’re out of Brussels sprouts season. Let’s see if they want to try the braised artichoke hearts, because it’s similar. With a little help from analytics, everyone can get treated like a regular, and regulars stay loyal to their restaurant. Something to keep in mind the next time a server suggests exactly what you want before you even know you want it. Nicole Torres is an assistant editor at Harvard Business Review. Send comments to magazine@globe.com.